How To Survive In Litigation As A Fresher? If you are a Game of Thrones fan, a fresher and someone who wishes to enter the world of litigation you can be quite effectively called John Snow. Any first generation lawyer without contacts or financial dependence can possibly relate to the dingy past of John Snow when he was still struggling for an identity, despite being better than members of his stepfamily. Freshers entering litigation are no different. 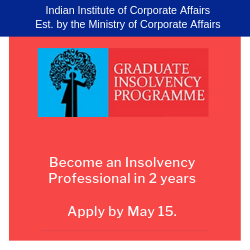 They struggle with finances and knowledge despite having skills and live in oblivion for quite some time (well that’s the case with most of them), however, few years down the line they are can be better off than most lawyers working in companies or law firms as they may start earning on case to case basis. To begin with, I am neither a practicing lawyer nor someone who is remotely close to litigation. I am just a writer who happened to go to law school. From the very inception of law school, I was averse to the idea of litigation. I tried to settle for a corporate job but eventually returned to my magical sword, writing. Thus, I might not be qualified to write this article, however, I have tried my best to get insights from practising lawyers and some of my close friends who have consciously fallen for the art of advocacy. 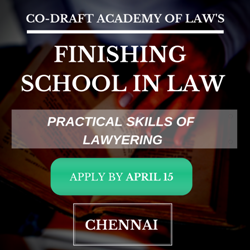 Considering the fact that anyone entering the field of litigation after law school is mentally prepared for a salary of INR 10,000 to INR 15,000, it must be a major concern. To be honest, I was an ace debater in college and a lot of people used to ask me if I was planning to pursue litigation. I had a standard answer to this, “I don’t think I can survive on a meager amount of money for years.” However, it turns out that most of the individuals do not consider this as a bottleneck. They embrace the kind of money they get and learn how to manage their finances. However, they are not willing to compromise on the kind of work and the exposure they get. I might be very critical, however, before you continue reading please note that there are exceptions that every fresher has. 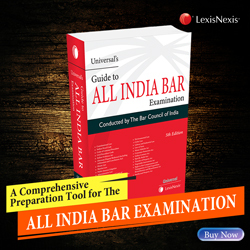 If you are someone who is coming from a lineage of established lawyers or you have an extremely helpful senior or you have done an online course that has industry experts and mentors to guide you, chances are that you might not have faced what generally most freshers face when they step into litigation offices. However, if you are someone who is about to get into litigation without a godfather, possibilities are you might face all of it. Challenges, luck, and experience are unique to each and every individual. Here are some of the major challenges that a fresher usually faces when he/she enters into litigation. BIGGEST CHALLENGE: Figuring Out What The Hell Is Going On! Imagine. It is your second day at work. You have interned with lawyers and litigation firms before and you have sufficient knowledge of how most district and high courts work. Your senior calls you and hands you a brief asking you to appear before the Central Customs Excise and Service Tax Appellate Tribunal (CESTAT) to appear for a case that has been going on for 4 years now. That’s it. One brief. No mention of the progress of the case or what you have to do while appearing. Will you be able to handle such a situation when you don’t even know where the tribunal is situated? The situation I mentioned is not hypothetical. It is a true incident that happened with a friend of mine and she claims happens with a lot of people. 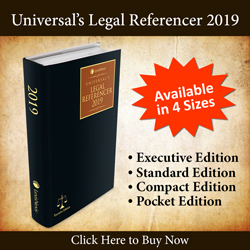 In the first 2 weeks, you will have no idea what’s going on – where is the filing is done, what to say in front of the judge, which cases have progressed to what extent, etc. One of the first things that a practicing lawyer told me was that consider this to be a swimming lesson. What if you were thrown into the pool without knowing how to swim? You will drown a little but, eventually, you will figure out how to move your hands and legs and learn. The same holds true for litigation. You will face hiccups initially, you might even end up making blunders, but each time you make a blunder you will ensure that you never repeat that mistake again. This is not the advice I would like to give you. For, it might be a mistake for you but it might mean losing a client for the firm/lawyer you are working under. Clerks in any office are the ones who know the most. They have been around longer than anyone else in the organization. They might not be lawyers but they tend to attend the court proceedings, are responsible for the filing of cases, know the formats, help in numbering and preparing the case files and most importantly, they have learnt the art of getting things done. Not just that, even the latest court gossip, or the attitude of a certain judge, or the potential of the other party, they can tell you all. All you need to do is be nice and respectful towards them and they will treat you with the same respect. Your immediate seniors in the office may have joined maybe a year or 6 months before you. They gain some experience in the meantime and are able to guide you through the tough times if they don’t consider you as a threat. A close friend tells me about an experience where she was supposed to appear for 10 clients in a certain case with over 90 defendants at the High Court. The notice by the other party was to be served to another 20 defendants out of a total of 96. It was her first month at work, so as a precaution she asked some seniors for advice. They comforted her saying you don’t have to worry just go and stand and fill your appearance. You won’t be asked anything because service is incomplete on part of the Plaintiff. In court, it didn’t quite work out the way her seniors had predicted. She was grilled for more than 20 minutes as she was representing the maximum number of clients. She had thankfully read up the law, spoken to the clerks and taken a look at the previous orders in the brief to know what she had to do. However, what she could not figure out was why did she have to go through so much stress to understand the procedure. Is it true when the practising lawyers say that you can only learn the procedure through the grind? How can you become successful in your career without having to go through this stress? What if you got the right guidance from an industry insider? Today, as I write this article, and expect it to be posted on a blog, I know that learning has moved beyond the four walls of the classroom. There is so much content on the internet for you to read every day. Here are a few articles I found online that gives you insights: 3 Biggest Challenges Every First Generation Advocates Face and this interview by NLIU Bhopal graduate, Anshuman Nayak, has spoken about in his interview with SuperLawyer. 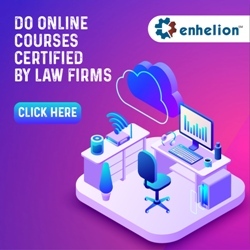 Apart from reading articles, you may also opt for e-learning through online courses specialised in a certain area of law. NUJS Kolkata is one such national law university that offers a course on criminal laws litigation and trial advocacy. 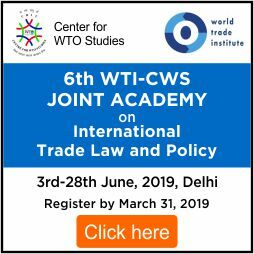 You may also look for other such courses offered by them here. This is something every practicing lawyer needs to keep in mind. However, there are times when you might be running out of time or the briefs may be voluminous. In such a scenario, try to figure out what the case is about from someone who has been on the case. Under no circumstances must you fail to read the last order to get a gist of what might have conspired in the court. As far as procedure is concerned, you can always ask the clerks as long as you’ve managed to keep yourself in their good books. Procedure can always be learnt through going to court every day, but what keeps you ahead of everyone is how well-versed you are with the law. Most litigation practices thrive on companies as their clientele. Naturally, you shall be required to know the practical implications of business laws. Let’s say you have a client who has under contract delivered certain services to ABC, however, your client wasn’t paid for the job. ABC is now winding up. This client happens to be one of the biggest logistics companies in India. What will be expected of you to do? 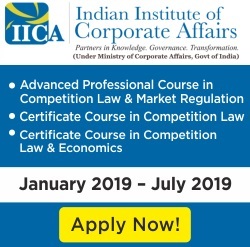 Did you know that you have to fill a Form under the Companies Act along with a certain application before the High Court? Was this taught to you in law school? Unfortunately, law schools fail to bridge the gap between the classroom and the courtroom. Moot courts are always restricted to final arguments. The memos are drafts of what may someday take the form of a petition. No one teaches you how to draft applications. The standard templates followed for your drafting and pleading lectures in law school won’t make the cut in the courts. If you’d like to learn the real art of drafting, you must take up courses on drafting for litigators. Here is one such course I found. In addition, you need to stay updated with the latest laws. You also need to understand the laws from your client’s perspective. This is something no one will teach you while you are trying to survive and make career out of litigation. 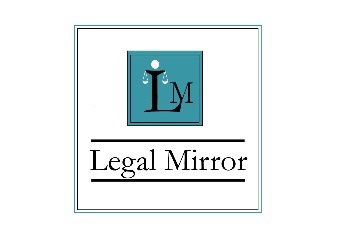 The easiest way to do that would be keep reading blogs that regularly update you on the law. Despite all the challenges, litigation is an art. If learnt, it can make you an artist cherished worthwhile. 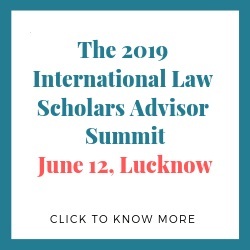 Full disclosure: Aditya Shrivastava works with iPleaders.